****The sellers have accepted an offer. There is an inspection contingency through Wednesday, March 6th 2019. 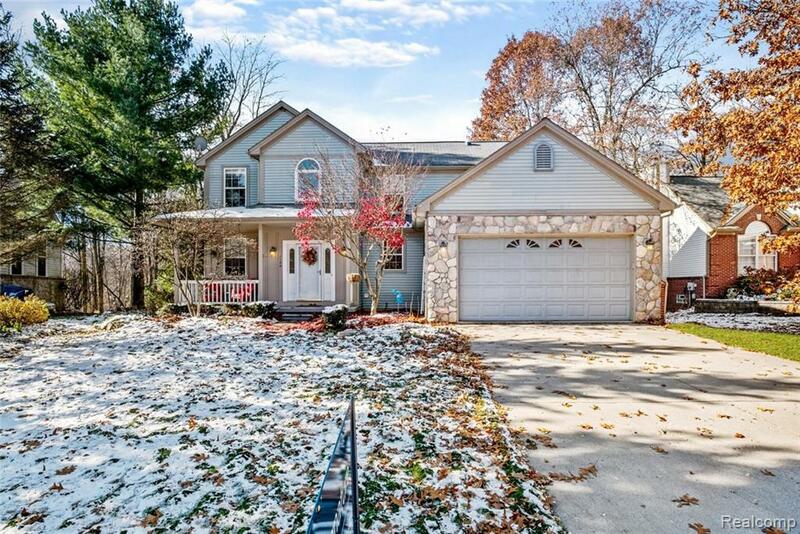 ****Come hibernate in this beautiful colonial located in a private cul-de-sac in Lake Orion, MI. This home is the best of both worlds with the comfort of nature surrounding you and the convenience of tons of restaurants, stores and entertainment nearby. Wake up in your first floor master bedroom at the crack of dawn to birds chirping and wilderness views. Enjoy your coffee in your Florida room overlooking your seemingly ceaseless yard. Your spacious kitchen is equipped with the counter and cabinet space you have always desired. This 4 bed, 3 bath colonial has an abundance of space and storage with vaulted ceilings, numerous closets and a huge daylight basement. Not to mention, hardwood floors, the Jacuzzi and walk-in closet in the master bath, 3 sizable rooms upstairs and attached 2-car garage. IDX provided courtesy of Realcomp II Ltd., via Signature Sotheby's International Realty Gpf and Realcomp, ©2019 Realcomp II Ltd. Shareholders.